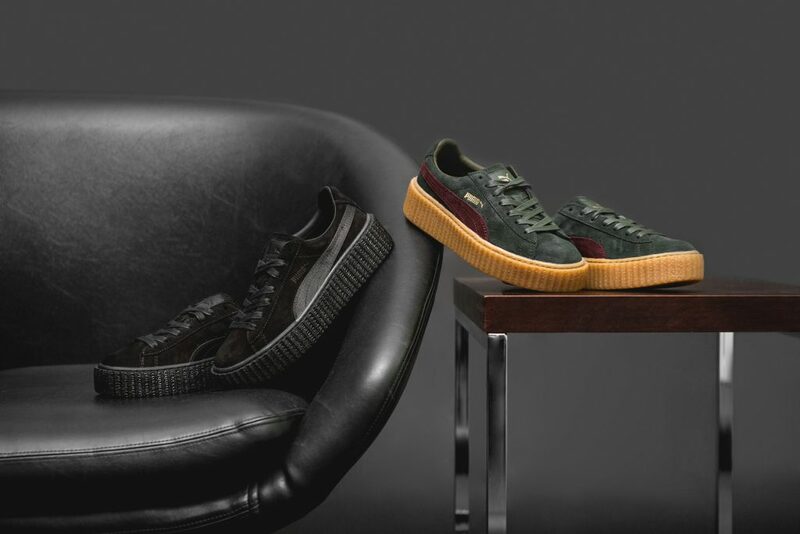 Fans of Rihanna’s creepers will be able to buy the styles for $150 that will be exclusively released onPuma’s website and also global retailers. RiRi’s original Creeper silhouette was a mix of the brand’s classic suede model, which harnesses the music and fashion feel of the punk and rock era of the 1980s and 1990s. It featured a chunky sole and was available in black and white colorways. Puma and Rihanna partnered with Travis Scott to showcase the new collaboration. It was RiRi’s first ever Puma by Rihanna campaign. All her earlier Fenty creeper releases have sold out. RiRi later added khaki brown and additional colorways like soft pink with green detailing and tonal oatmeal. The low-top sneakers featured suede uppers and leather linings, finished off with waxed laces and Puma’s signature gum sole. The singer also collaborated with legendary shoe designer Manolo Blahnik for the Rihanna x Manolo Blahnik Denim Desserts collection. RiRi’s Spring/Summer 2016 limited-edition capsule shoe collection was inspired by her hand tattoos. It featured sandals, pumps and boots in denim. Each shoe was tastefully crafted with denim, sequins and artisan embroidery. As soon as the much-anticipated collection launched on May 5, it was causing its microsite to crash several times. The shoes were launched in New York, London and Hong Kong.